James Peay is a Virginia native that grew up reading action comics and watching superhero cartoons. Receiving his bachelors degree at Pratt Institute for illustration and design, he has continued to build a career as an illustrator working in comics, entertainment and fashion. Adam Fields is the owner and lead illustrator / graphic designer of Midnight27 Studios and the creator of the hit comic book series, PROWL. Raised in Eaton, Ohio, he has always had a passion for art and storytelling. Adam has taken various art courses at multiple art centers to keep current on the latest design trends, and now is an instructor teaching classes at the same various art centers he once attended. His focus is on elementary and middle school aged aspiring artists who, too, want to focus on improving their skills. 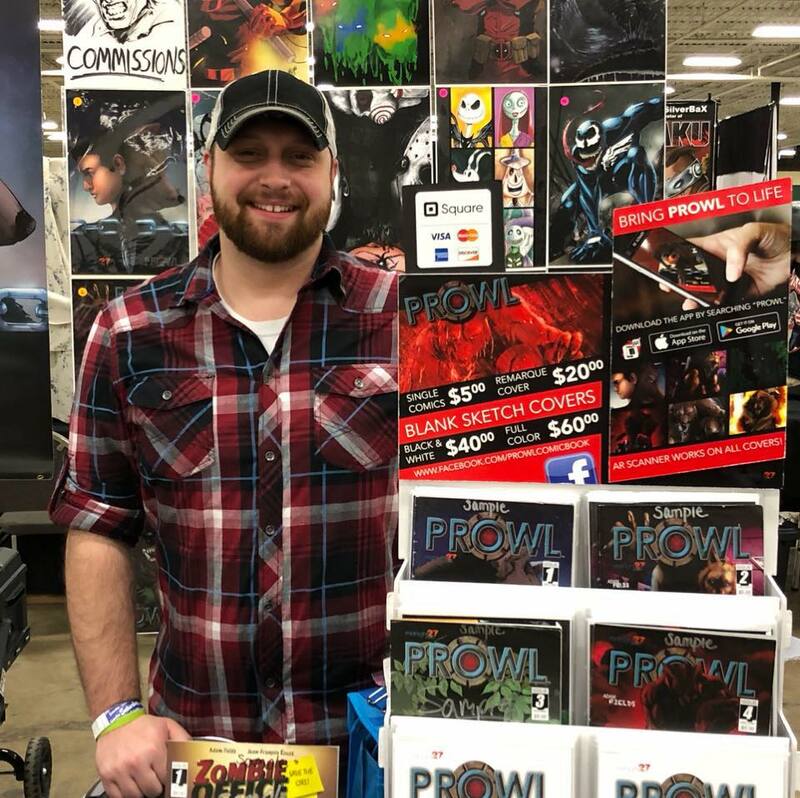 His professional portfolio ranges from designing concept art for book covers, business cards, logos, full comic books and officially licensed sketch cards for Upper Deck and Marvel.